What Are the Basic Steps to Starting a Restaurant? The basic steps to starting a restaurant include conceptualization, formulating a business plan, securing funding, sorting out ordinances and picking out a location. Some of the attributes of a good restaurateur are outgoing personality and a love for food. The first step to starting a restaurant is to consider the target audience, type of food to be served, marketing and pricing. Other factors to consider during conceptualization include the type of service, number of employees, location, equipment and inventory. Next, the restaurateur should formulate a business plan to show to potential lenders. The plan should cover expense projections, start-up costs, plans for employee benefits, marketing and hiring strategies among other important information. Funding for a restaurant can be gotten from personal assets, loans from family and friends and grants from government agencies. Loans from banks, credit cards or credit unions are additional sources of funding. Ordinances include operational and zoning restrictions. 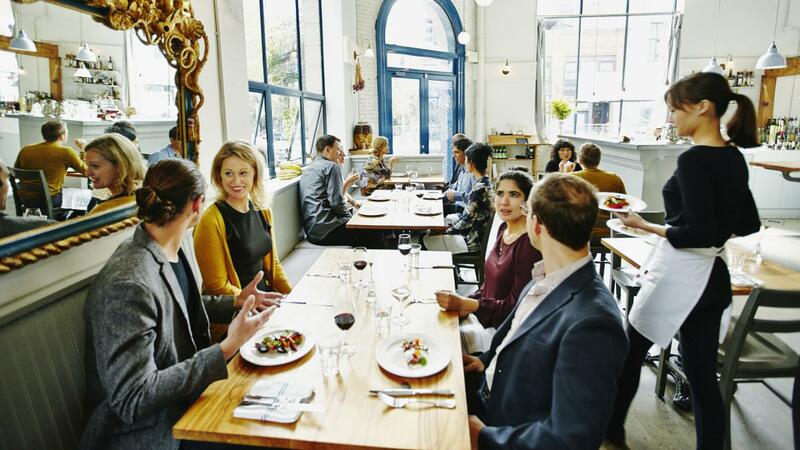 The restaurateur should talk to a representative from the appropriate agencies and seek advice and tips from friendly local restaurateurs, particularly regarding local regulations. Finally, the restaurateur should pick out a location for her business. The location is determined by the type of restaurant. Family-style restaurants, for example, require generous dining areas and large parking lots, while coffee shops target foot traffic. Where Can I Find Basic Information on IRA Options? How Do You Use a Stock Portfolio Manager? What Is a 401(k) Maximum Contribution? What Are Some Good Investment Strategies for Seniors?